Never underestimate the power of a vegan hippie chick. Now, those are words to live by…and she does. Leilani Munter is a force to be reckoned with! Self-proclaimed adrenaline junkie, Leilani runs fast to her own tune: a mission to help save the plantet. And what’s the best way to encourage others to gear up and go plant-based to help save the planet? Give them free Impossible Burgers at your Nascar Tent! Of course! Vegan Strong racecar driver Leilani Munter dishes with host Elysabeth Alfano about population growth, her work with the Oceanic Preservation Society, her favorite plant-based comfort foods and her upcoming last race of the year. 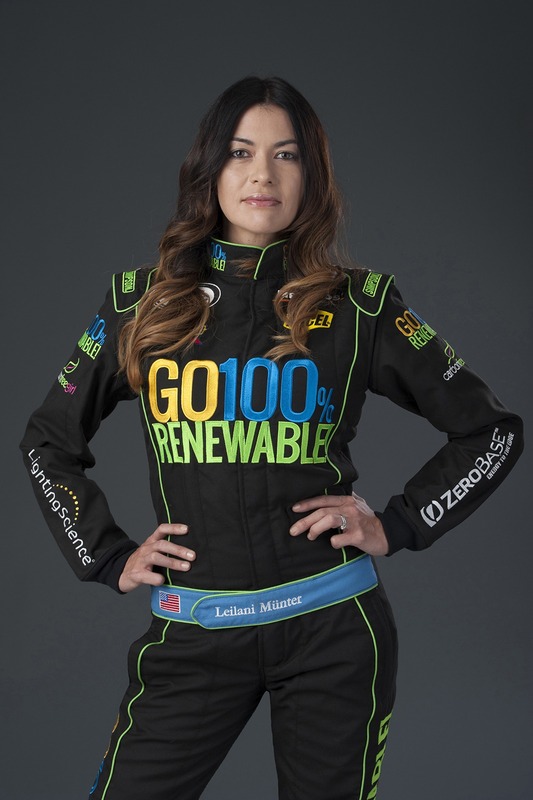 Using her 200 mile-an-hour racecar as a billboard for environmental issues, it is no wonder that Leilani was named by Discovery’s Planet Green as the #1 eco athlete in the world. Enjoy this interview from the Switch4Good No Dairy Athlete Summit. Here is a quick snippet from the interview of Leilani offering up some ways of easing into a plantbased diet.